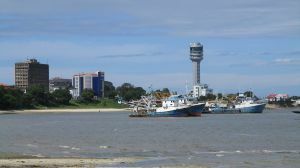 Old Boma of Dar es Salaam, view from junction of Morogoro rd. and Sokoine dr. 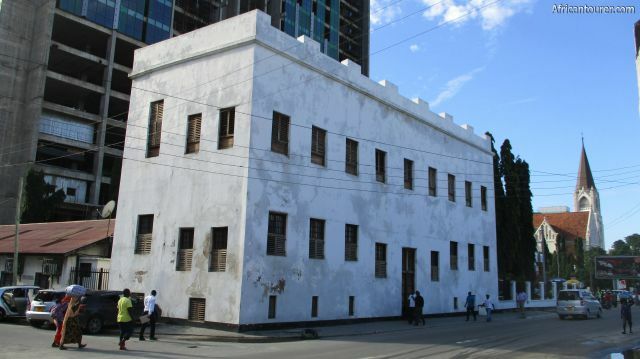 The Old Boma of Dar es Salaam is the city's oldest stone building and is located on Sokoine drive of Dar es Salaam - Tanzania. It was built in 1866 by Sultan Majid bin Said of Zanzibar close to what was his palace (now demolished) . 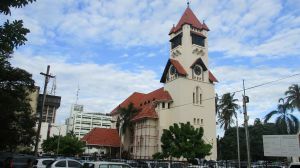 Distinctive features of the building that are noticeable to this date are the Zanzibari style carved wooden doors, the coral stone walls and the shape of its roof. What to do there?Admire the building and its architecture. We are not entirely sure about the current use of the building or whether access is permitted or not. The building is under under the management of DARCH with talk of it being possibly opened to the public in the future. 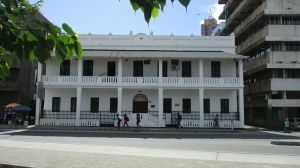 However, there also are other historical landmarks just a few steps from here such as the st. Joseph's Metropolitan Cathedral and the White father's house. 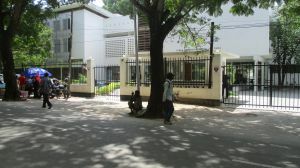 The Old Boma of Dar es Salaam is located at the junction between Morogoro road and Sokoine drive of the city of Dar es Salaam - Tanzania. 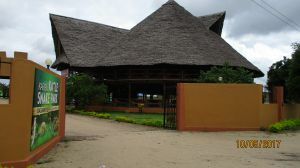 It also is across the road from the ferry terminal for Zanzibar going boats and the Magogoni creek behind it. For more information on its location, please see the map below (click to start). How to get there?The BRT system has a bus stop about thirty metres north east of the station and thus from anywhere in the city where there is this bus service, just find a bus heading to Kivukoni and get off at the station on Zanaki st.. For other means of public transport, there is a dala dala bus station about a hundred metres south west of the building and to get there, you would need to find buses headed to Stesheni (usually with a light blue stripe). The bus stop is the last on the route. For other means or if you are using private transport, please use the map below.The Old Boma of Dar es Salaam is located at the junction between Morogoro road and Sokoine drive of the city of Dar es Salaam - Tanzania. 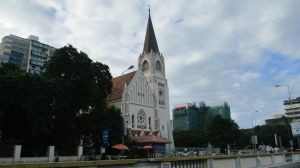 It also is across the road from the ferry terminal for Zanzibar going boats and the Magogoni creek behind it. For more information on its location, please see the map below (click to start). How to get there?The BRT system has a bus stop about thirty metres north east of the station and thus from anywhere in the city where there is this bus service, just find a bus heading to Kivukoni and get off at the station on Zanaki st.. For other means of public transport, there is a dala dala bus station about a hundred metres south west of the building and to get there, you would need to find buses headed to Stesheni (usually with a light blue stripe). The bus stop is the last on the route. For other means or if you are using private transport, please use the map below. 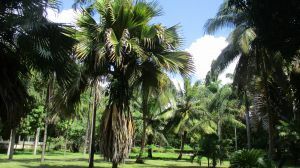 Are you associated with Old Boma (dar Es Salaam) ? Contact us to improve this page or create another page for your business.